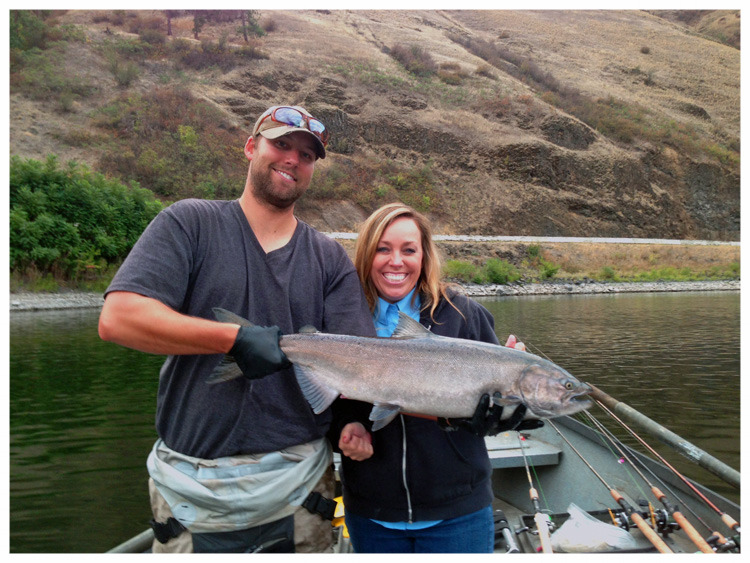 Landing page for fishing the Clearwater River, Idaho. Professional guiding for steelhead and salmon. Providing Professional Guided Fishing Adventures on the Clearwater River and Throughout the Pacific Northwest. Clearwater River Company (CRC) offers year round fishing opportunity throughout Idaho, Oregon, Washington, Alaska, Montana, and Utah. You'll find our guides and affiliates throughout the Pacific Northwest fishing in prime locations during peak run times and conditions. Check out our Destinations or Book a Trip. Come fish the beautiful Clearwater River, located in North Central Idaho. The Clearwater River is world renowned for its phenomenal run of B-run Steelhead and Spring Chinook. The Clearwater Destination page has detailed information about run timing, trip pricing, and more. The average Clearwater River Steelhead is 13 pounds with numerous 20 pounders being landed each season. The catch and release season for Steelhead is July 1 through October 14, the catch and keep season is October 15 through April 30. Our Spring Chinook season is typically late April to early July, seasons are announced each spring and are quota based. Many anglers consider Springers to be the best eating fish that swim our western rivers. The Clearwater is a rewarding river for those looking to encounter large steelhead that routinely approach 20+ pounds. We have a full team of Professional Gear and Fly fishing guides ready to put you into fish. All trips include rods, reels, tackle and a great lunch. Check out our Clearwater Destination page for more information. 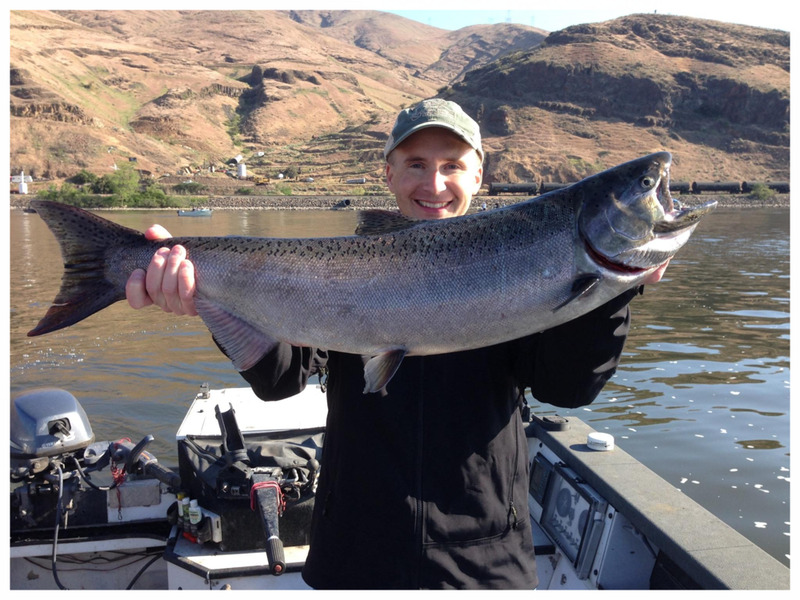 We offer steelhead and salmon gear fishing trips. Reserve your next fishing adventure with Clearwater River Company. Our Spey and Fly guides are some of the best on the river. Book your next steelhead fly-fishing trip on the world renowned Clearwater River. Clearwater River Company LLC is dedicated to getting mobility impaired anglers out on the water. When you choose to fish with Clearwater River Company, you choose to support our community, service members, and veterans of the United States. Clearwater River Company LLC is issued CL2 and CL3 Drift Boat Licenses through the State of Idaho Outfitters and Guides Licensing Board. Clearwater River Company LLC has booking agreements with other outfitters throughout the Pacific Northwest. When booking with Clearwater River Company LLC the operating outfitter will be identified in the trip confirmation letter. Clearwater River power boat trips are operated by Stott's Fishing Adventures unless otherwise noted.